To [un]subscribe, free of charge, to Roundup and other information services, go to our Mailchimp registration page at http://eepurl.com/dE3CJj . "We've had a great response from sight impairment charities supporting people and about 8 or 10 staff have now attended workshops in Wales! Big thanks for the publicity." "Just read the latest edition of Roundup and wanted to send across my thanks to you and WCB team, its a really informative read full of updates that aren't easily found anywhere else; your hard work much appreciated." "Thank you so very much for the Roundup Magazine supplement. It is very interesting reading, much appreciated." "I have just started to have a read of this - it is fantastic, thank you very much for sending this to me." Roundup is a quarterly newsletter produced by Wales Council of the Blind. 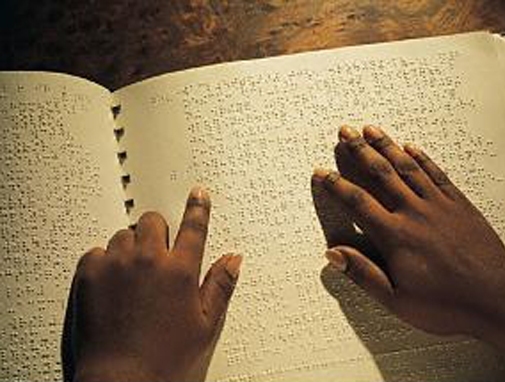 It is distributed to over 1200 individuals and professionals working in the field of vision impairment. Back issues can be downloaded here.